Call it the magic of positive sentiment in the year 2010. Almost all asset classes gained significantly in the year that just passed by. Most remarkable among them was commodities which outperformed all asset classes on the back of supply constraints and weak dollar. Going into the New Year, there is a strong desire for the investors to latch on to the new investment avenues based on changing dynamics of various asset classes. Moreover, as the perceptions change with time, with time also evolves new principles and money landscape. The global recession has forced investors to re-evaluate how they utilize their personal finance and spending habits. Thus, at this juncture, it is worth clearing various imbibed misconceptions towards different asset classes before investors go all out for them on the back of strong emerging market recovery and rebounding growth prospects in the advanced economies. Most of the risk-averse investors want to invest in gold for its safe-haven characteristic. A number of investors and leading central banks had included the yellow metal in their portfolio after the US recession mired the prospects of the global economic health. This dramatic surge in demand has led the gold prices to surge by leaps and bounds. Gold has catapulted from a rock-bottom low of $250 per ounce at the start of the decade to $1400/ounce in 2010. To put things in perspective, the shining metal has surged 28.8% to emerge as the top performing asset in 2010 alone. Thus, gold joined the same trend as stocks, real estate and emerging markets in terms of providing returns to the investors. 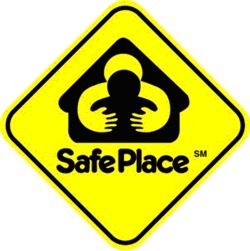 It can no longer be tagged as a safe investment after the meteoric rise it has witnessed recently. The price for gold is high now, so like all other investment fads, people think it’s great. Truth: Traditionally, Gold is characterized as a safe-haven investment. But, with its dramatic surge in prices over the past few years, it is no longer a safe destination to park your funds at current high levels. Any asset class in the midst of a secular bull run is almost always supported by the reasoning of supply constraints in the industry. The real estate sector is most strongly attached with this axiom led by constrained supply of ready-to-develop land. Real estate agents often say that rising interest rates will not end the desire to buy property in an under-supplied housing market. However, builders have been reluctant to soften the housing prices despite the build up of unsold stock, leading to increased consumer resistance and sagging demand prospects in the realty sector. At such times, buying a home with an intention of making speculative gains could be fraught with high risks in the realty sector. 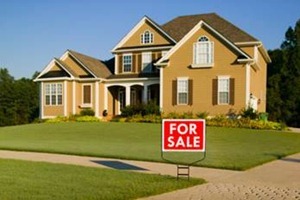 A year-end national survey conducted by Makaan.com, a leading online real estate consultant, showed that 55% expected residential property prices to correct by 20% or more in 2011. Truth: Land is indeed a scarce resource, but this logic works out only in the long-term. The long run is a misleading guide to current affairs; and that in the long run, we’re all dead. So, it is better to consider and evaluate the demand-supply equation prevailing at current juncture rather than going for arbitrary investments based on the view that land is a limited resource. Investors are often fascinated about New Fund Offers (NFOs) in the mutual fund industry. But, the fact remains that a NFO doesn’t come cheaper than an existing fund just because it is open for subscription at the face value. The biggest drawback of NFOs is that it does not have a track record of past performance. However, if the fund house is offering a new concept which suits your investment profile and financial goal, it may make sense going for it. For other offerings, it might be more worthwhile to wait for a minimum of two quarters of performance review of the new fund before you get on with it. Truth: Investors often make a mistake of correlating a NFO with that of a stock’s initial public offering (IPO). The basic difference being companies coming out with an IPO are already operational in nature, whereas NFO aims to make a new start altogether by accumulating funds from investors. Unit-linked insurance plans (ULIPs) are investment products that provide dual benefits of life insurance and savings element as a one stop solution for an individual’s financial goal. In the past, these hybrid plans have been severely criticized for the uneven distribution of cost structures of the product with respect to the premium allocation charges. Until now, the initial costs of these insurance products were high on account of front-loaded commission structures and fund management fees. However, recently IRDA had insisted toning down of fat commissions by spreading the agent’s commission evenly over the first five years and graded charges for the subsequent years. The regulator has also hiked the threshold limit from 3 years to 5 year lock-in period and mandated a minimum guarantee for such plans. Though, the ticket size of new ULIPs has gone up slightly; now the policyholders can opt for premature exit without any penalty. Truth: Under new guidelines, the tarnished image of ULIPs has changed for better; and become more transparent and investor-friendly now. This has led to standardized products with cap on charges. 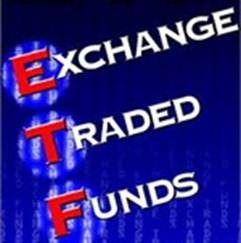 Exchange traded funds (ETFs) are fast gaining popularity across the globe. Unlike index funds, ETFs are listed on stock markets and trade akin to stocks on the bourses. However, ETF is not a stock in particular, but a mutual fund managing underlying portfolio of assets that are designed to follow a particular index. In the current era, ETFs has become popular for almost all asset classes – equity, debt, commodities, real estate and a number of other popular indices. Apart from index funds, ETFs can also represent unique investment products that combine benefits of active allocation and passive execution by using fundamental weighing approach. Motilal Oswal Asset Management Company had recently launched MOSt Shares M50, India’s first fundamentally weighted ETF on Nifty. Truth: As equity markets show increased volatility, ETFs are gaining more popularity among the investors across the asset classes. Thus, ETFs stands differentiated from equity index funds, its close cousin. 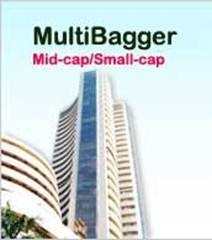 Equity market investors are always on a look out for multi-bagger returns from small and mid-cap counters. The term multi-bagger is used for a stock where the price appreciation has been at least twice or higher denomination in terms of number of times the stock prices has surged from your original investment size. The most common myth about the term multi-bagger is that such stocks could be explored only amongst penny stocks that are small in size and have scope to grow multi-fold. However, this is a wrong perception. Investors could also find multi-baggers among well-know large-cap stocks at times when their valuations are most depressed. Take, for instance, the stock price of truck-maker Tata Motors had hit a low of Rs.130 in November’ 08 on account of demand slump led by global recession. Those investors who showed courage in investing at such panic bottom levels and held on all through the recovery phase would have gained 10 times returns by December last year. Truth: Multi-bagger is all about soul searching and could be sought across the spectrum of stocks. Value recognition, sound research and understanding of business of a large-cap company could also provide such stupendous opportunities. Investors just need to control the fear and act rationally when such stocks are in free-falling mode during bear markets. 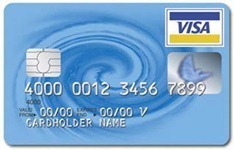 Your credit card can empower you a convenient, hassle-free and economical way of dealing with your personal finances. But, those who splurge irresponsibly using credit cards ultimately land up in credit trap. People tend to forget that the interest that they pay on late dues of credit card is exorbitantly high at 40-45%. The card holder should use this facility cautiously after properly understanding the functioning of the credit mechanism. Credit card offers cashless convenience for an initial period of 30-45 days along with a flexible billing cycle. After that, the rate of interest charged by banks on a credit card varies usually from 3% to 3.5% per month. Truth: Using your credit card for purchases and availing benefits of interest-free period is fine, but crossing the limits could entangle you in a trap which could be termed as the highest form of credit in the world of finance. 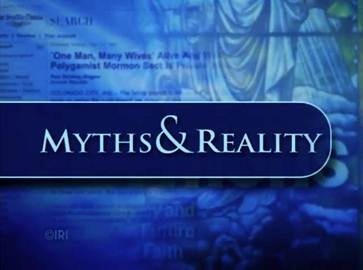 So, did you believe in any of the above myths? If yes, its time to have a recheck now! MSI Windpad becomes India’s 1st windows tablet! Is Gold a Smart Investment Option for Middle Class Indians? Property prices in Mumbai to touch sky high again! Financial Sector Reforms: Why the Traditional Endowment Plan needs to go! Why is Diamond better than Gold this Diwali? A Tale of 3 Scorching Bull Runs – Sensex, Gold and CWG Medal tally! I want to Invest in the stock market and please suggest me about the share market it a right time investments. Stock Market is for Gamblers. Another point is, any one with reasonable IQ thinks he/she can win at Stock Markets, by investing themselves. Stock Market is the most mis-understood place in India. Most Indians have lost money in Stock Markets, whereas it is STILL the place the make money (name the RICHest people in India; Get to Know why they are regarded as RICH. Hint: They are NOT rich because they hold Real Estate in Mumbai or Delhi!). Do you see a contradiction here? Most people lose money. But it is also the place which determines who are the RICHest (i.e. wealthiest)! It just means that – most people DON’T KNOW how to make money in Markets (difficult to admit publicly though). WHEN you know it is THE Place to make money, but one does not know how to make money – what do you do? Give it to EXPERTS who can make money off it i.e. Mutual Funds. Invest in Selected Good Mutual Funds & Monitor their performance. It is the BEST place to be, for a typical Indian who wants to invest for long term.